BBQ’ed chicken slathered with homemade chipotle mayo topped with melted swiss cheese and a green spinach mix sitting between two fresh & toasted ciabatta rolls. Wow. This looks delicious. Those ciabatta rolls look toasted to perfection. Homemade chipotle may? Sheesh. Sounds & looks amazing! Yeah Josh…you better feed me this next time we hang out. I smell a poker/bbq combo in our near future. Heck ya! A Poker/bbq combo is definitely going to have to happen soon! Wow this just made me very hungry. What is that bottle in the background? Poker & BBQ is a great combination! This is going to cause an issue being that I’m in Michigan. Josh this looks incredible! We might have to start a BBQSwap as well! YUMMMMM!!!! 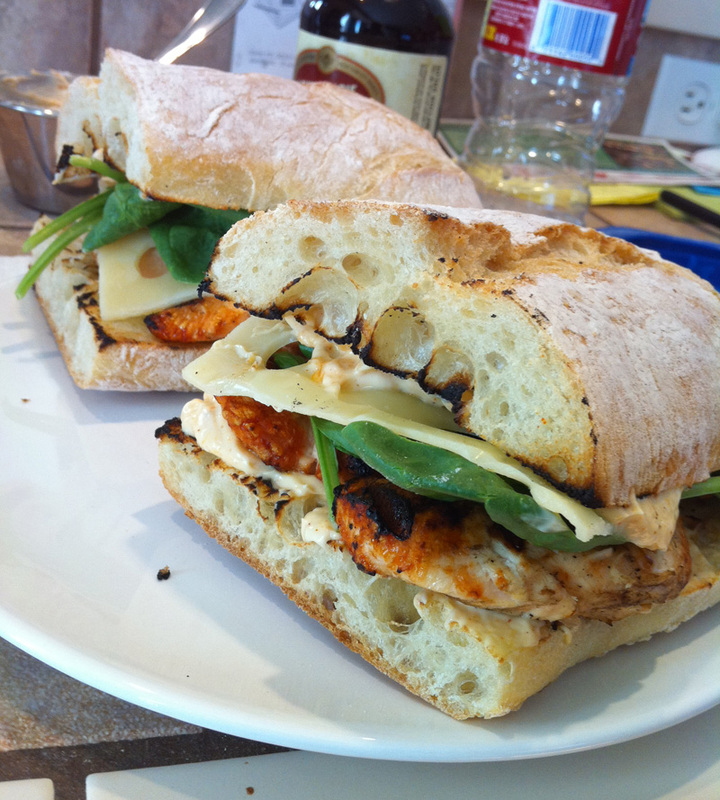 Those ciabatta rolls alone are enough to make me drool! How do we get the recipe? !